Click here for all the categories and finalists. - Kevin Nashnoted on Twitter he&apos;ll be on his family vacation when the 1000th episode of Raw Supershow take place. Nash Tweeted that family comes first after "20+ years." - WWE Champion CM Punk and former WWE Diva Lita joined retired Chicago Cubs pitcher Kerry Wood Wednesday night at his seventh annual Strike Zone Celebrity Bowling Tournament. The Chicago Tribune has coverage including quotes from Punk where he talks about his new DVD. Click here to read it. - Bray Wyatt, formerly known as Husky Harris, suffered a shoulder injury at the Florida Championship Wrestling show in Melbourne on Friday night. The injury occurred during a triple threat match also involving Brad Maddox and Leo Kruger. - Evan Bourne was spotted in the crowd at an EVOLVE Wrestling show in Ybor City, Florida last Thursday. I&apos;m told both WWE and EVOLVE were upset about it. Bourne was sitting in plain view of the hard camera chatting with friends and EVOLVE officials and was eventually asked to move because they were afraid he was distracting from the in-ring action. When WWE officials found out, they weren&apos;t pleased that one of their stars was spotted hanging out in the crowd of an independent show. Bourne is currently out with what is believed to be a career-threatening foot injury that happened during a car wreck after serving a 60-day suspension for his second violation of the WWE Wellness Policy. - WWE has announced a Raw live event from the American Bank Center in Corpus Christi, Texas on January 13, 2013. This is the same location where this week&apos;s Super Smackdown Live show will take place. 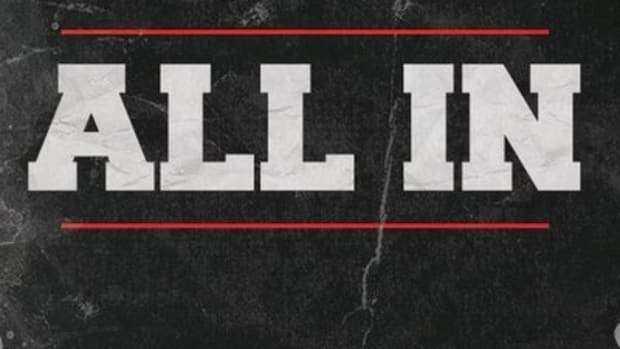 - Jim Ross has a new blog entry available on his official website that you can read at this link. - Maxine&apos;s profile has been removed from the official Divas page over on dot com. What&apos;s that you say??? OH, you didn&apos;t know (Road Dogg) I was under contract to WWE? Apparently, a lot of people (including members of creative) were not privy to that information. I have been "working" with World Wrestling Entertainment for almost 18 months. I was only used once during that time period, making a brief cameo as Tyson Kidd&apos;s manager in May of last year. I was told I did a great job and to be patient. I have been patient for quite some time now while sitting at home "waiting for the call". It&apos;s not fun, trust me. Numerous creative ideas/scenarios were submitted during my tenure and unfortunately nothing materialized for me. And although my talents were not utilized this time around, should I decide to return to WWE in the future, I firmly believe that door will be open. Timing is everything, not just in showbiz, but in life. Thank you to everyone in WWE! - R-Truth made his return to the ring on this week&apos;s Raw Supershow in an 8-man tag team match. Truth teamed with Kofi Kingston, Santino Marella and Christian to face Darren Young, Titus O&apos;Neil, David Otunga and Cody Rhodes. Truth was written off television (in an angle with Big Show) on the May 28th episode of Raw Supershow after suffering a foot injury earlier in the month. - It was announced on this week&apos;s Raw Supershow that Alberto Del Rio will challenge Sheamus for the World Heavyweight Championship at WWE Money in the Bank. - Doink (played by "The Brooklyn Brawler" Steve Lombardi) worked a match against Heath Slater on this week&apos;s Raw Supershow. Reversing the trend, Slater actually went over in the bout. After the match, Diamond Dallas Page returned and gave Slater the Diamond Cutter. Doink and DDP were brought in as names from the past to celebrate the lead-in to the 1000th episode of Raw. Bringing in past names is going to be a reoccurring theme until the 1000th episode on July 23, 2012. 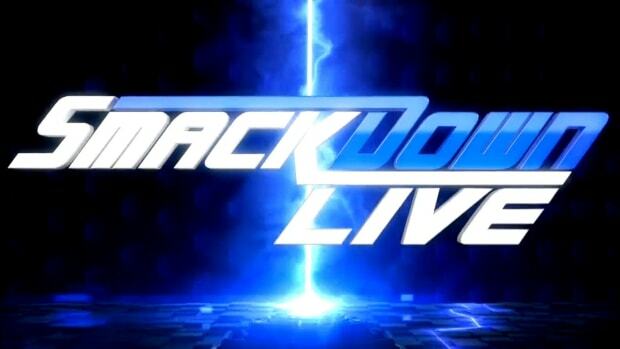 - ColoradoSprings.com is reporting that WWE has canceled the July 10th edition of Smackdown in Colorado Springs due to the Waldo Canyon fire. STAMFORD, Conn., July 2, 2012 – Due to the Waldo Canyon fire, WWE (NYSE: WWE) SmackDown on Tuesday, July 10 at World Arena in Colorado Springs has been cancelled. Refunds for tickets purchased for this event are available at point of purchase. To offer support to those families affected by the wildfires, WWE will be donating $10,000 to the American Red Cross, which is assisting in local relief efforts. Additional donations can be made by calling 303-722-7474 or by visiting www.ColoradoRedCross.org/Donate. On Monday, July 9, the Pepsi Center in Denver, CO will host both Monday Night Raw and SmackDown. Tickets can be purchased at the Pepsi Center box office or at www.Tickethorse.com. - Bret Hart is now being officially advertised for the 1000th episode of Raw on July 23, 2012 from the Scottrade Center in Saint Louis, Missouri. Hart noted on Twitter he expected a call from WWE to appear on the show. - For those wondering about Sin Cara&apos;s quick job to Alberto Del Rio on this week&apos;s Raw Supershow, I&apos;m told he&apos;s back in the company doghouse. We are currently working on more details as to why but some clearly feel this pet project of Triple H could be coming to an end. - Vince McMahon is very high up on AJ Lee and is pleased with the development of her character. This is the reason for her increased television time and I&apos;m told her name was thrown around for a potential Divas Champion after the current angle with CM Punk and Daniel Bryan concludes. - The "fan" that Alberto Del Rio went after on Super Smackdown Live was WWE cameraman Luis Vazquez. - Zack Ryder won The Great American Bash 20-man battle royal on this week&apos;s Super Smackdown Live, eliminating Kane for the final elimination. As the storyline goes, Ryder will be the interim General Manager of Smackdown for next week&apos;s show. - WWE posted a video of Zack Ryder talking about being the interim General Manager for next week&apos;s Smackdown over on dot com at this link. - Dot com also has a storyline "injury" update on Sheamus following Alberto Del Rio&apos;s "attack" on him. The website stated Sheamus was "treated for head contusions and lacerations to the head." You can read the kayfabe article at this link. - Bray Wyatt, formerly known as Husky Harris, indicated on Twitter that he has a torn pectoral muscle. The injury, originally believed to his shoulder, occurred during a triple threat match at Florida Championship Wrestling&apos;s show in Melbourne last Friday. - Triple H recently contacted Bruno Sammartino and extended an invitation into the WWE Hall of Fame during Wrestlemania XXIX weekend. According to their conversation, Triple H stated the ceremony is possibly being held at Madison Square Garden in New York City. Sammartino declined the invitation because of issues with WWE but said Hunter was a gentleman and he was impressed by him. Due to issues with Vince McMahon, Sammartino wants nothing to do with WWE. - Terry Taylor, who&apos;s slated to head up WWE&apos;s revamped developmental system, had back surgery a couple weeks ago but has been trying to keep it quiet. He&apos;s recovering well and while some of the work on WWE&apos;s developmental plans have slowed down while he recovers, everything is expected back to full speed this week. WWE is still figuring out the logistics to the program he will be running. Triple H doesn&apos;t want to rush things as it&apos;s a big shift in the philosophy of the company&apos;s developmental system and he wants to make sure he gets it right. - The Rock has joined Hollywood&apos;s elite as one of the highest-paid actors. You can read how he raked in $36 million as the "franchise saver" in 2011 at this link. - Bill DeMott wrote on his Twitter account that WWE will host tryouts from 9/28 through 10/1 at the Florida Championship Wrestling facilities in Tampa. - David Otunga is slated to appear in the new film WWE Studios is co-financing with Troika Pictures called "The Hive" starring Halle Berry and Abigail Breslin. Principal photography for the flick is scheduled to begin Friday in Los Angeles. - WWE has announced a live event from the BMO Harris Bank Center in Rockford, Illinois on Sunday, August 26, 2012. - William Regal is booked in a match against Santino Marella at Saturday&apos;s WWE Raw live event from the United Spirit Arena in Lubbock, Texas. For more, check out the Weekend WWE Schedule. - Mark Henry has been keeping fans up-to-date on his official Twitter account. He noted he&apos;s lost 25 pounds but can&apos;t lift heavy yet after undergoing shoulder surgery. To all my wonderful fans, just want to let you know I have been granted my release from TNA. It was completely amicable parting of ways and I want to thank TNA and all of its employees for the wonderful journey I&apos;ve had there over the years. Now I&apos;m on to the next amazing chapter of my life! If you are looking to book me please contact John at john@spectacularsignings.com Thank you so much! - Hulk Hogan Tweeted specific followers on Twitter that it was not his decision to release Angelina Love. He wrote the decision came from the TNA office in Nashville. Love stated that her release from the company was amicable. - Kenny King from Ring of Honor as well as Dakota Darsow, Lars Only and Flip Casanova are backstage at Impact Wrestling from Universal Studios in Orlando, Florida and will be competing for a spot at Destination X on tonight&apos;s show. King&apos;s ROH contract is up and he participated in the pre-show workout with D-Lo Brown. TNA IMPACT WRESTLING has announced that Phoenix will host the biggest night in TNA history. The “Bound For Glory” pay-per-view extravaganza will air to a world-wide audience on Sunday, October 14th. Tickets for the event will go on-sale Friday, August 24th. The superstars of Spike’s “IMPACT WRESTLING” will headline “Bound For Glory,” including Hulk Hogan, current TNA World Heavyweight Champion Bobby Roode, Sting, Jeff Hardy, Olympic Gold Medalist Kurt Angle, Austin Aries, Rob Van Dam, Mr. Anderson, “The Phenomenal” AJ Styles, “The Samoan Submission Machine” Samoa Joe, the lovely and lethal TNA Knockouts, the stars of the X-Division and many more. “Bound For Glory” will feature the winner of the “Bound For Glory Series” in the main event for the TNA World Heavyweight Championship. Continuing the celebration of ten years of Total Nonstop Action, this will be the biggest weekend of the year for the superstars of IMPACT WRESTLING. The weekend will feature expanded activities in the Phoenix area, including a special “Bound For Glory Fan InterAction” and the inaugural annual TNA Hall of Fame induction. As announced at “Slammiversary” in June, the first-ever inductee is “The Icon” Sting. Tickets for “Bound For Glory” go on sale Friday, August 24 (10am MST/ 1pm EDT) at the Grand Canyon University Arena box office, GCUArena.com or charge by phone at 602-639-8999. "The appearance of ROH wrestler Kenny King on another television wrestling program tonight has raised speculation on his future as well as how this appearance could occur. The contract Kenny King signed in June 2011 expired 11 days ago. Before that expiration, an agreement was reached between Kenny and ROH management for an extension of that contract, with a provision to allow him to negotiate with any other promotions so that he could evaluate his options and any potential interest in him elsewhere. When that short extension concluded he would then be free to accept an offer elsewhere, or sign another long term contract with ROH. Under this agreement, Kenny was free to negotiate but not to wrestle for another organization without ROH&apos;s permission. When Kenny was presented with the written extension reflecting this verbal and handshake agreement, he informed ROH he was unsure if other promotions would accept the negotiation clause. He was told he could take the document to be examined by his attorney or other interested parties before executing it to be reassured any other offers would not be viewed as contract tampering. He also informed ROH that he would keep us apprised of any developments.He contacted ROH on Tuesday July 3 to inform us that he had a meeting in Orlando on Thursday, July 5, which was within the scope of the agreement he had made. Then, early morning on July 5, he contacted an ROH official to say he would be wrestling on the Orlando event that night. He was told he did not have permission to appear live on television as it violated the agreement that had been made. His response was that the deal he had shaken hands on and agreed to in principle "seemed fair at the time", but "others" had told him it was not, so he did not intend to honor it. Ring of Honor is disappointed that Kenny has chosen to make this decision, after the company had agreed to and followed through on everything he had asked for at the time of our negotiation. However, we consider this breach of his verbal agreement unacceptable, and regardless of his future employment status with any other wrestling company, ROH will not be doing business with Kenny King going forward. A statement from ROH will be forthcoming regarding the future of the ROH World Tag Team Championship. Co-holder Rhett Titus remains on the active ROH roster." - As announced on this Impact Wrestling Post Show, Jeremy Borash will fill-in for Taz on commentary for Sunday&apos;s Destination X pay-per-view. - TNA Bound For Glory 2012 will take place from the Grand Canyon University Arena in Phoenix, Arizona on October 14, 2012. Tickets will go on-sale Friday, August 24, 2012. You can read the official announcement of the location at this link. - Bully Ray opened an official Twitter account at this link. - The group that attacked Sting on Impact Wrestling a few weeks ago is now on Twitter, obviously as part of a storyline, at this link. - Chris Sabin actually underwent surgery Friday to repair his torn ACL and had not had the operation done as previously reported. I apologize for the error as the injury angle on this week&apos;s Impact Wrestling was done to write him off television. Sabin&apos;s contract with TNA is set to come up while he is out rehabbing the injury. What&apos;s the deal with Brock Lesnar and Triple H regarding a possible SummerSlam match? WWE is stringing out Triple H&apos;s "challenge" to Brock Lesnar for as long as possible because they want to make Lesnar the focal point of SummerSlam but are unable to have him on TV every week because of the limited dates on his contract. This is one of the reasons for bringing Paul Heyman in despite the fact he and Lesnar have a strained relationship in real life. Lesnar will appear live on the 1000th episode of Raw on July 23, 2012 where the match will be set and built for the show next month. What&apos;s the purpose of the 20-man battle royal on this week&apos;s Super Smackdown Live? Will the winner be "awarded" anything? WWE announced the winner of the 20-man battle royal on this week&apos;s Super Smackown Live will be the interim General Manager on next week&apos;s Smackdown. Confirmed participants are WWE Champion CM Punk, World Heavyweight Champion Sheamus, John Cena and Big Show. Have you heard any big names being circulated for the 1000th Raw? The 1000th Raw is expected to be loaded with Triple H, Shawn Michaels, Brock Lesnar as well as all the company&apos;s top names. Rey Mysterio was backstage at this week&apos;s Raw and is expected to return with talk that Mark Henry could come back as well. Bret Hart said on Twitter he expects to get a call from WWE to appear on the show. Other names people have asked about include Steve Austin, The Rock and The Undertaker but I&apos;m unable to confirm any of them as of this writing. As I&apos;ve written, WWE wants to pop a huge rating for the show as well as build momentum for their move to three hours. What are your thoughts on the Money in the Bank ladder matches at the pay-per-view later this month? Two different philosophies are being displayed with the Money in the Bank ladder matches this year. The match for a WWE Championship contract will highlight top veteran talent with only Chris Jericho being "Money in the Bank friendly." I don&apos;t expect the match to be as fast-paced as we&apos;ve seen with the match in previous years but WWE is trying something different. The match for a World Heavyweight Championship contract features more up and coming talent with some athletic names to work a more traditional Money in the Bank bout. I&apos;m willing to remain objective about the matches and reserve my opinion on their evaluations until after they happen. How much input do WWE workers have regarding their entrance music? It depends on the worker but ultimately WWE decides who comes out to what entrance music. CM Punk was able to get WWE to buy the rights to "Cult of Personality" by Living Colour as part of his new deal signed last year. Obviously the higher up someone is on the card, the more influence they have but Randy Orton once said he had Punk&apos;s old music tapped for himself but WWE gave it to Punk. Is The Undertaker going to be on Raw&apos;s 1000th episode? The Undertaker isn&apos;t being advertised for the 1000th episode of Raw and I haven&apos;t heard if there are plans to use him. Obviously I wouldn&apos;t be surprised if he ended up appearing due to the occasion and there has been talk of him working prior to Wrestlemania XXIX next year. The 1000th episode of Raw takes place in St. Louis, Missouri, Randy Orton&apos;s hometown. With Randy&apos;s suspension still in affect until the following Sunday, could you see the WWE allowing him to appear at the show despite his suspension? I don&apos;t see WWE allowing Randy Orton to appear before his suspension expires. Orton&apos;s suspension is still a delicate matter as he has considerable heat from it. The current plan is still to push him in the top of the card when he returns later this month, despite earlier rumblings he could be finished. I don&apos;t see the Tensai gimmick going anywhere. Do you see WWE possibly bringing him back as Albert or A-Train? I agree, I do not see the Tensai gimmick going anywhere. WWE had big expectations for the gimmick but Matt Bloom hasn&apos;t been able to get over. The gimmick has been scaled back to what it was originally slated to be but it&apos;s still stuck in monotony.